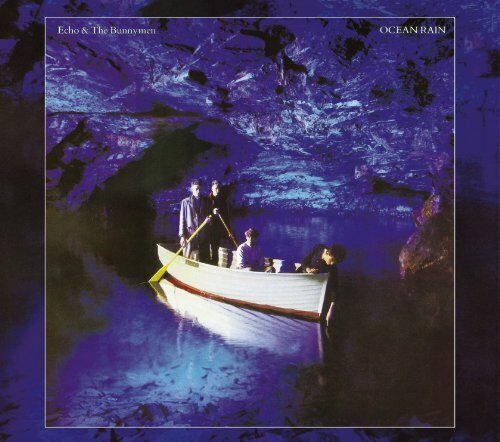 Founded in 1978, Echo & The Bunnymen are one of the truly seminal bands of the '80s. In fact, their swirling kaleidoscope of post-punk brooding, Doors-inflected psychedelia, and dreamlike textures sealed their reputation as one of the most influential groups of the last two decades. Between 1980 1987, the original lineup Ian McCulloch (vocals), Will Sergeant (guitars), Les Pattinson (bass), and Pete de Freitas (drums) released five groundbreaking albums. Tragedy struck in 1989 when Freitas was killed in an automobile accident, and the band took a half-decade break before re-forming in the mid-'90s. They're still thriving today, and Warner Bros./Rhino celebrates the band's 25th anniversary with expanded remasters of their '80s masterpieces. Widely considered their most inspiring and beautiful work, 1984's "Ocean Rain" -- which introduced the signature smash "The Killing Moon" -- now weighs in with eight bonus tracks: five songs recorded for the U.K. Channel 4 television show "Life At Brian's"; a previously unissued version of "Silver"; plus the also-unreleased 1984 live takes on the title track and "My Kingdom."